The full-sized PM43 is the direct replacement for the PM4i, and the compact PM43c directly replaces the PF4i industrial printer. Q: How is the PM43 printer positioned within the Intermec printer line? A: The PM43 series is targeted at the high end of the industrial mid-range printer market segment. With the ability to run Fingerprint/DP, IPL, DSIM, and ZSIM all pre-loaded on the printer and with full backwards compatibility, the PM43 provides a “drop-in” replacement for most applications currently using 86XX, 4000, 4100, 3400, 401, F4i, PF4i and PM4i printers. Q: What is the difference between the PM43 and the PM43c? A: The PM43 and PM43c have the same electronics package and similar mechanical design. The user interface between the PM43 and PM43c differs slightly in the layout of the keypad. The taller PM43 accommodates a 212mm (8.375in) media roll, 450mm (18,000in) ribbon and optional full-batch rewinder. It features two available slots for optional interface cards and both front and rear USB host ports. Wavelink has recently developed custom clients for the Intermec CV41, CV61, CK3R and CK3X fixed mount and handheld mobile computers enabling their Terminal Emulation and mobile device management software (Avalanche) to leverage the full capabilities of these recently announced computers. These custom clients are available for download immediately via ScanNGo bar codes. PDF files containing the necessary ScanNGo bar codes are available from the Sales Resource tabs for the following products: CV41, CK70, CK71, CN70/e, CN50, CK3A/B, CK3X/R, and CS40. These bar codes will enable the respective computer to download the Wavelink app and initialize it in demo mode. For any assistance obtaining the demos or if you are looking for the right Intermec mobile device for your application, contact us at BarcodesInc. 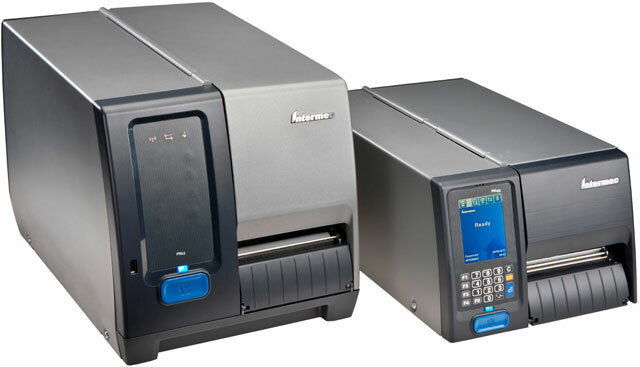 Trade-In and Trade-Up to a New Intermec Printer! Intermec’s popular trade-in program is back! This year, trade in a competitive or Intermec pre-owned thermal printer and receive a rebate up to $525 off the purchase of a new Intermec printer. Special for this year, you can also trade in an Intermec 3400/3440 series printer and receive up to an additional $100 bonus rebate on the purchase of a new Intermec PM43/PM43c series printer, resulting in a total savings of $400! For those looking to upgrade to the industry’s most rugged, reliable and smart printing solution—the time has never been better. Take your savings even further by adding Genuine Intermec Media and Services! According to a study recently conducted by Intermec, distribution centers are losing an average of nearly $390,000 per year due to mis-picks. With a new year bringing renewed pressure to boost efficiencies and drive costs down, the demands for faultless distribution processes have never been higher. Achieving productivity and accuracy goals is fundamental to improving profit margins, which is why more than half (59%) of managers are now turning to ‘The Perfect Order’ metric to identify areas for improvement. The study, which surveyed 250 supply chain and distribution managers across the US, UK, France and Germany, found the average mis-pick costs approximately $22, with more than half (52%) of companies reporting a pick rate of less than 97%. A further 19 percent do not even measure the costs of mis-picks in any form, suggesting that the accumulated losses to the supply chain may be even higher. Perhaps unsurprisingly, companies that have recently conducted a workflow process review found picking (47%) a key area where cost savings could most easily be achieved. For those using ‘The Perfect Order’ metric, opportunities for increased savings were clear, with complete shipments (43%) seen as the most profitable to the bottom line. The simple step of applying oil change reminder labels carries real value for the automotive service establishment and the customer. These labels provide a subtle but persistent notice to the customer of the next service date, helping ensure the vehicle remains in optimal condition. They also remind a satisfied customer where they last received service, increasing the likelihood of return business. While an enclosed automobile may seem like a relatively benign environment, these labels are subjected to significant environmental rigors. High exposure to ultraviolet radiation can attack labels and adhesive, causing adhesives to harden and leave residue, or causing the label to break apart and delaminate rather than removing in one piece. Temperatures inside a parked car in the summer can quickly reach 140°F, effectively baking the label facesheet and adhesive. During winter, windshields repeatedly cycle between freezing temperatures and heated defrost cycles. Intermec has announced the soon to be available integrated RFID capabilities for its CK70, CN70 and CN70e mobile computers. Part of Intermec’s industry-leading 70 Series family, these no-compromise devices now offer a fully-integrated UHF RFID reader with no external antenna – adding advanced RFID reading capabilities to what is already one of the industry’s most compact, ultra-rugged designs. 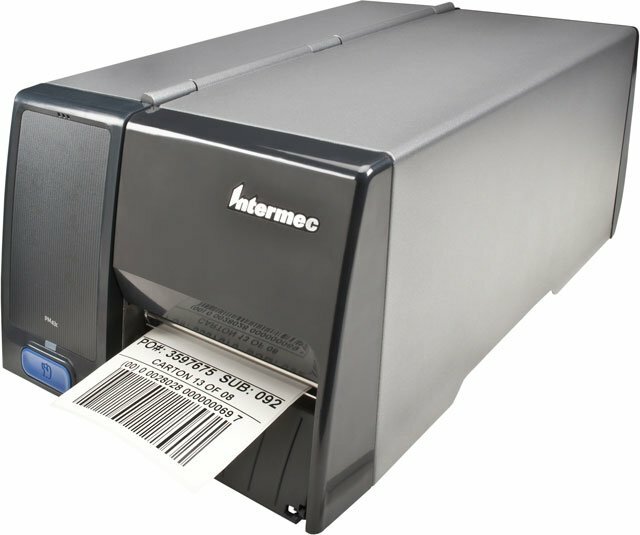 Designed specifically for customers seeking a mobile RFID solution in demanding in-premise environments, the Intermec 70 Series RFID reader platform supports medium to long-range read distances and is optimized to read one or many tags in support of inventory and asset tracking applications in retail, healthcare, industrial and government market segments. Additionally, the 70 Series RFID does not compromise size and weight; with a fully integrated design utilizing Intermec’s IM11 embedded module, along with an internally housed antenna, customers can experience advanced RFID read performance while maintaining the already-compact form factor of the 70 Series mobile computers. Modern supply chains must meet ever higher customer service level requirements while also constantly reducing costs. Intermec and Ruckus Wireless combine the leading workflow performance company with simply better wireless connectivity to enable more efficient and high performance warehouse and distribution centers (DCs). Intermec designs and builds the automated information and data capture (AIDC) industry’s most complete lineup of rugged, reliable and versatile equipment. Its bar code scanners, rugged computers and VoCollect data collection systems are deployed globally by leading warehouse, DC, 3GL and other enterprises that rely on accurate and timely data to track, manage and move products. Take advantage of the Intermec Trade In Program by trading in a competitive or Intermec pre-owned thermal printer and purchasing a qualifying new Intermec printer to earn up to $525 back. Now’s the time to upgrade your legacy industrial, mobile or desktop printers to one of the industry’s most complete lineup of rugged, reliable and versatile printing solutions. The Intermec Trade In Program offers compelling rebates on Intermec’s most popular printing products and is available until 12/31/2013. Intermec, a leading provider of mobile data collection hardware and information management solutions, announced a definitive agreement under which Honeywell International Inc, a diversified technology and manufacturing leader, will acquire Intermec for $10.00 per share in an all-cash transaction valued at approximately $600 million, net of cash and debt acquired. Businesses around the world increasingly require more robust asset tracking and data capture applications and the combined entity will be a technology and information management solutions leader in the Auto Identification and Data Capture (AIDC) industry.